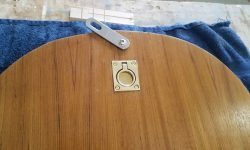 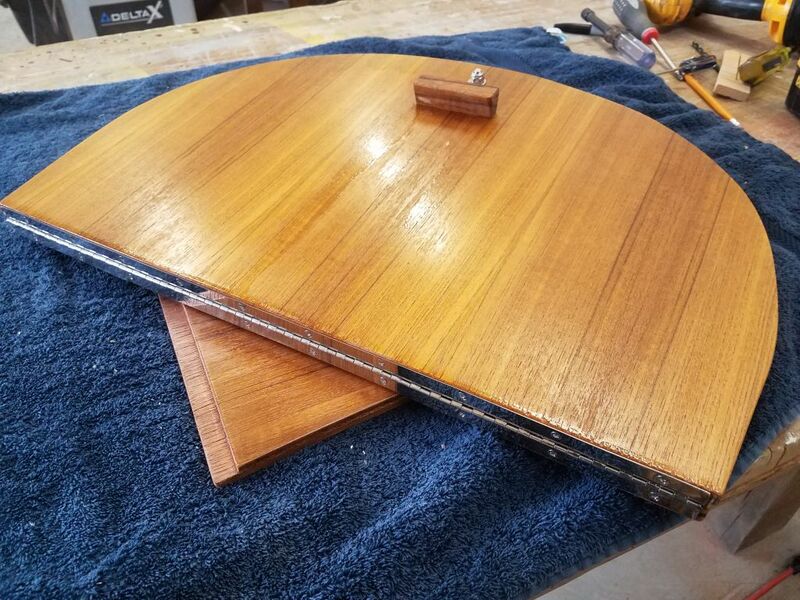 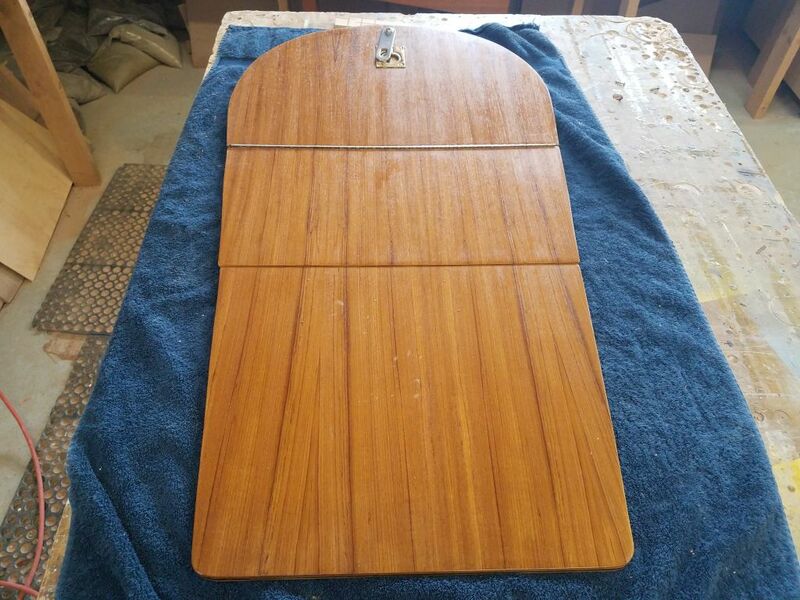 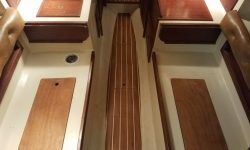 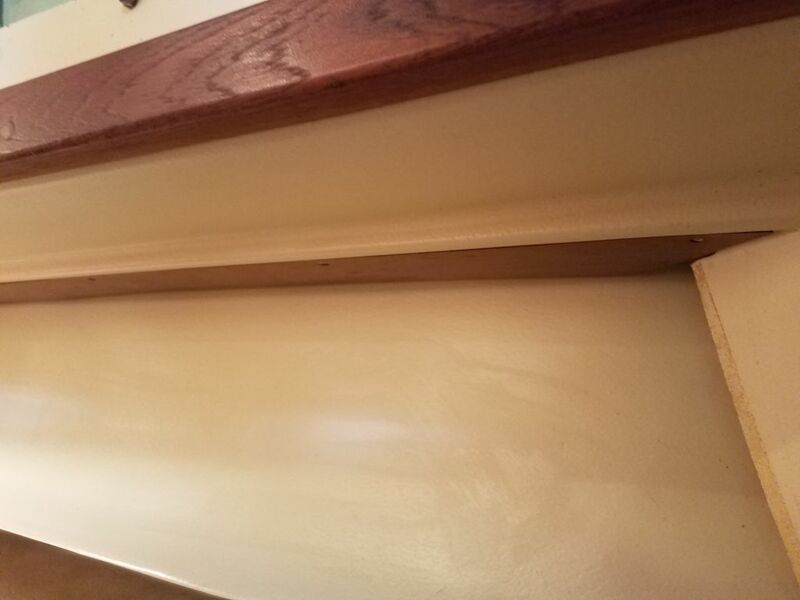 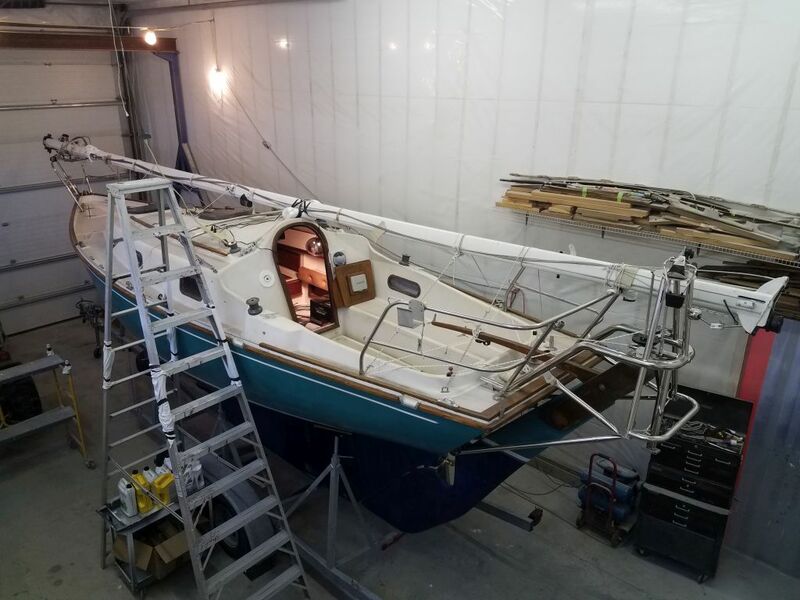 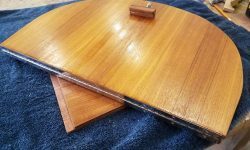 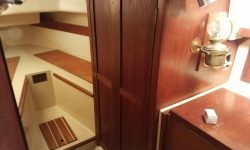 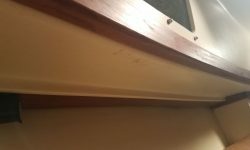 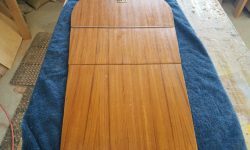 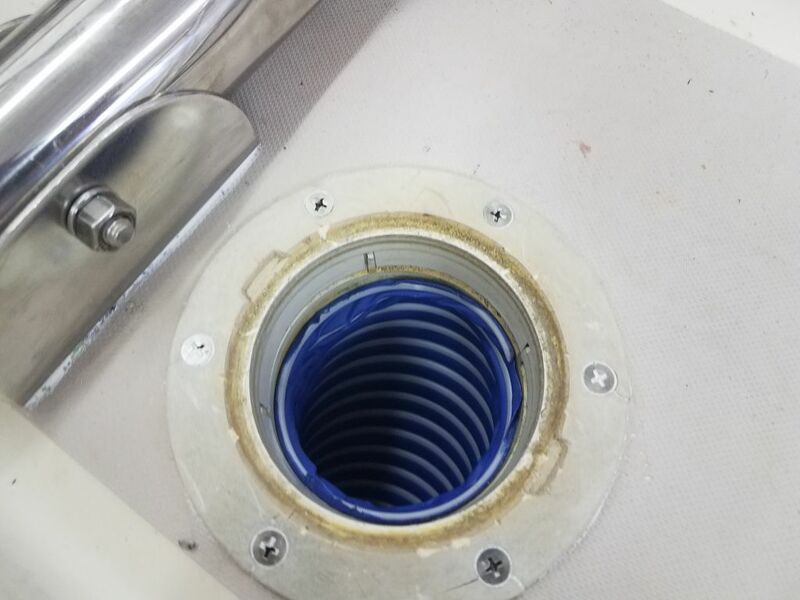 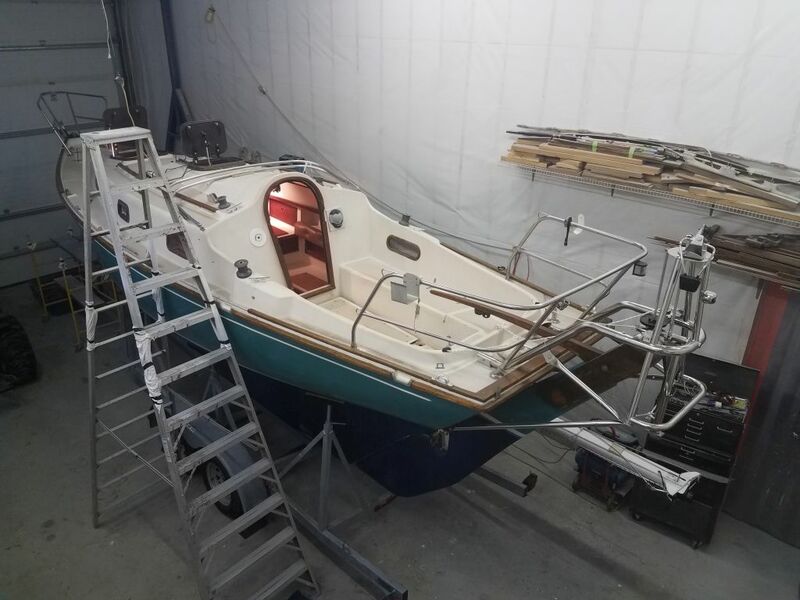 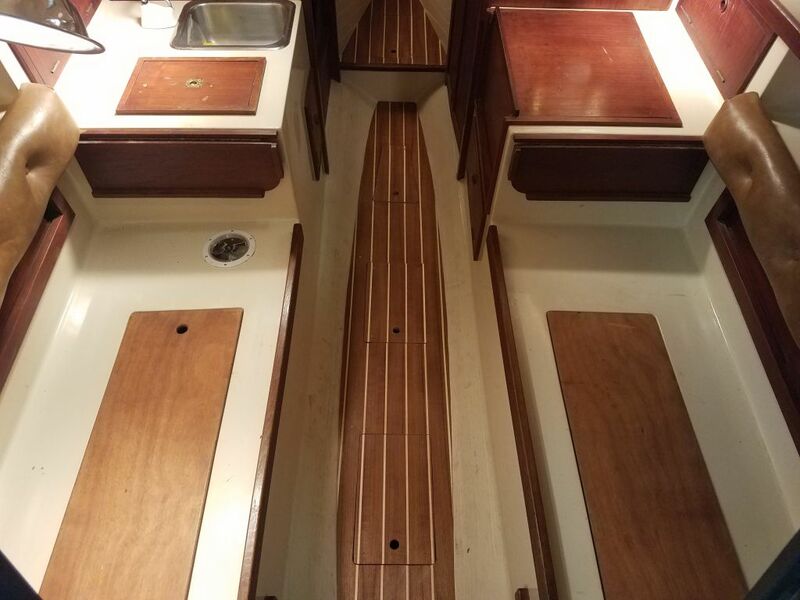 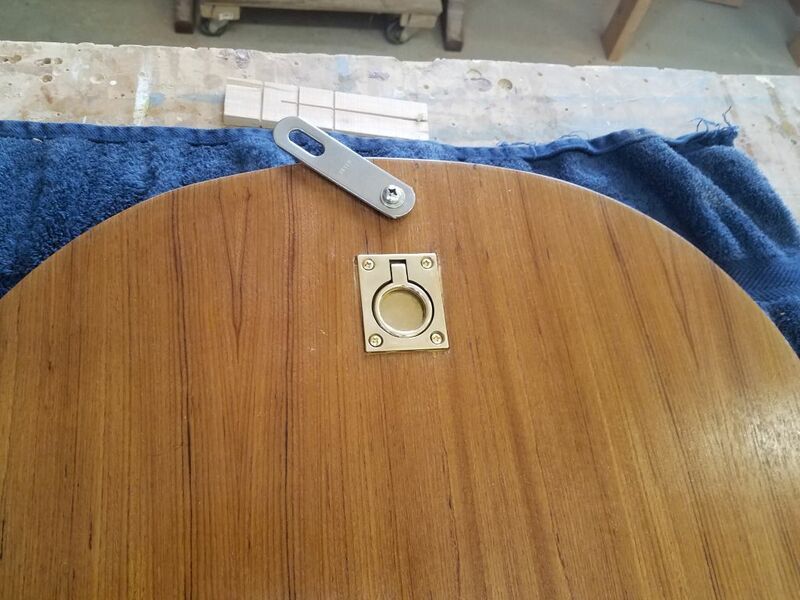 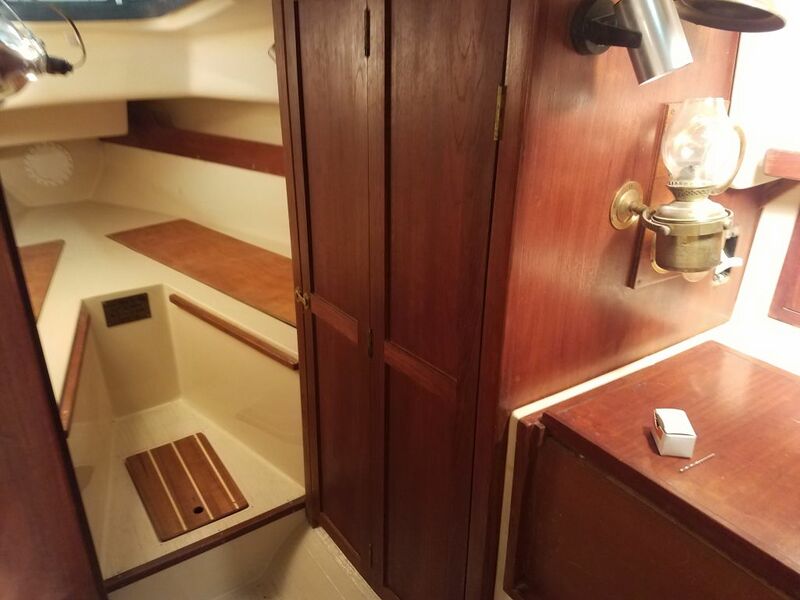 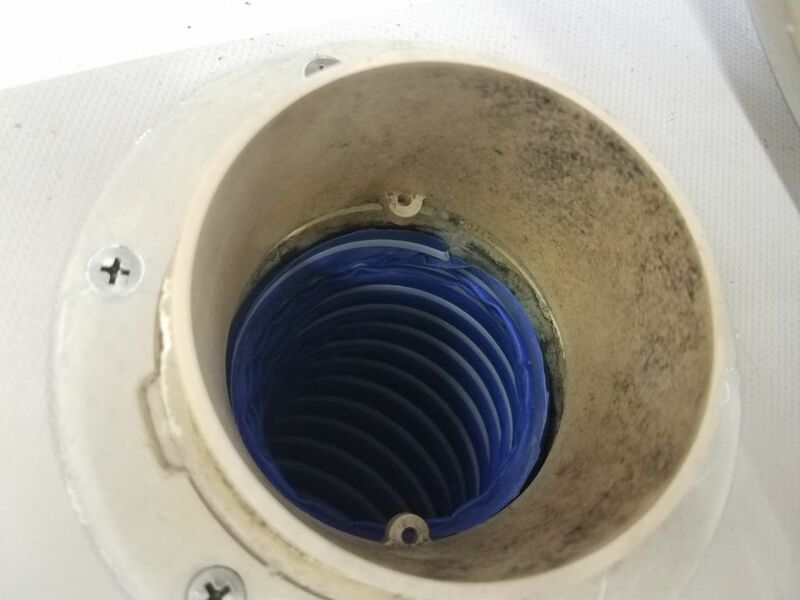 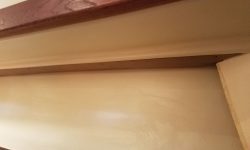 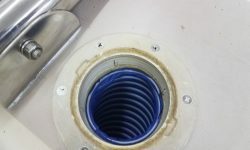 With the scope of my varnish work complete–2 coats at the owner’s request–I installed the hardware and hinge on the new companionway boards, completing their construction. 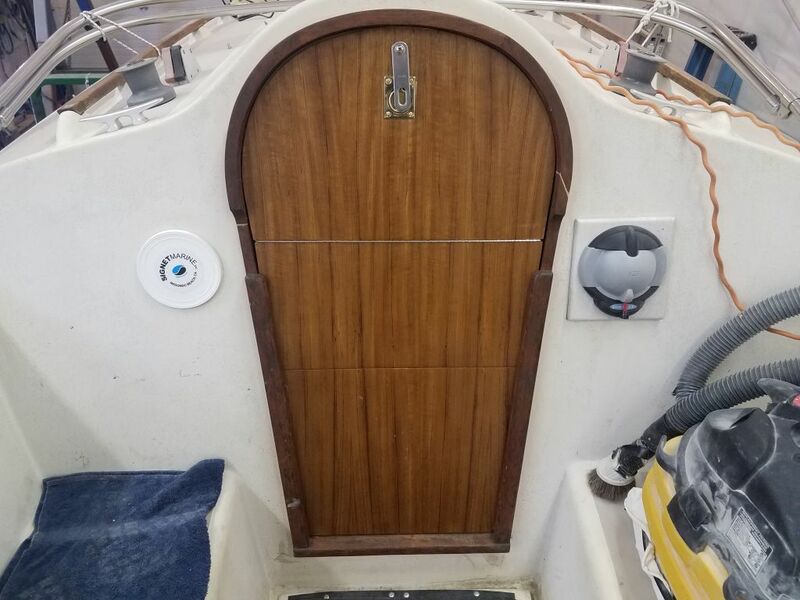 Next, I finished up in the interior with some minor reassembly, including the bi-fold head door and two wiring chase covers that the owner had removed earlier but asked me to install now. 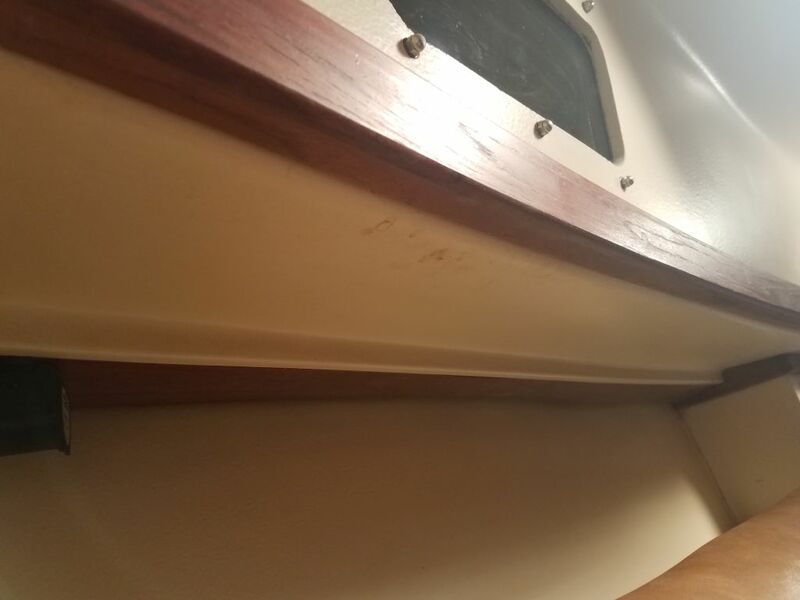 I also installed the cabin sole. 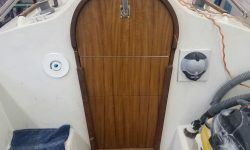 Meanwhile, now that work was complete, I finished some of my earlier efforts to clean up the cabin, remove tools, and so forth. 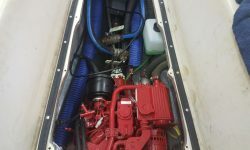 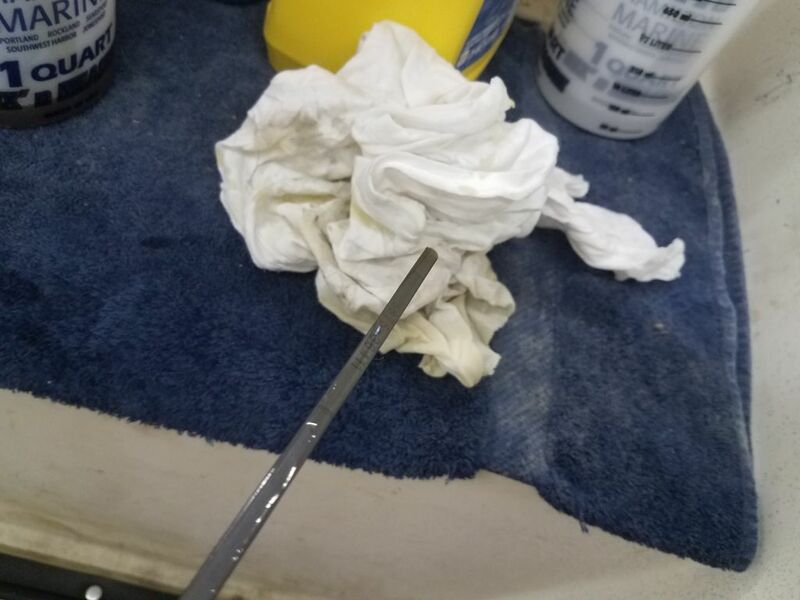 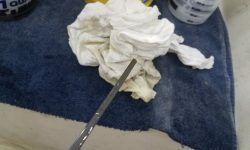 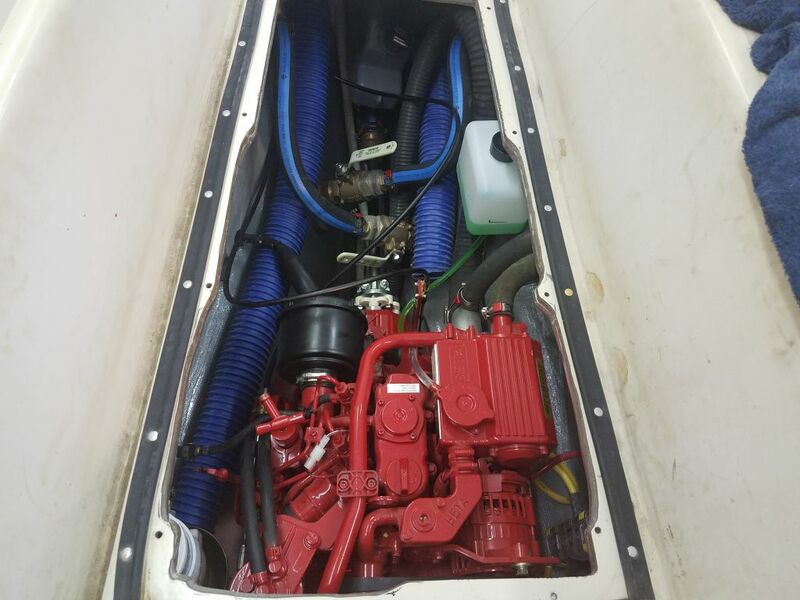 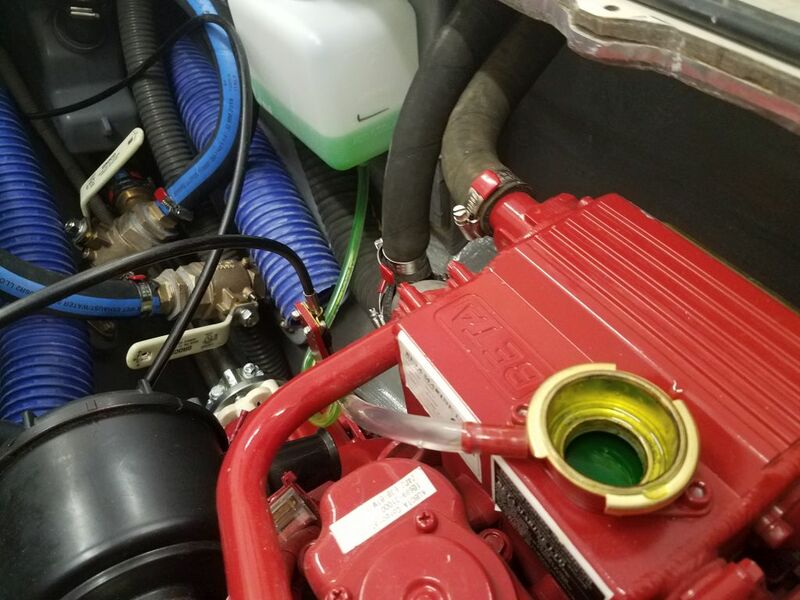 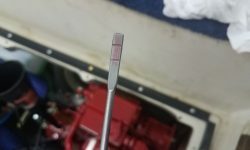 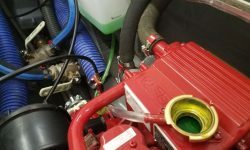 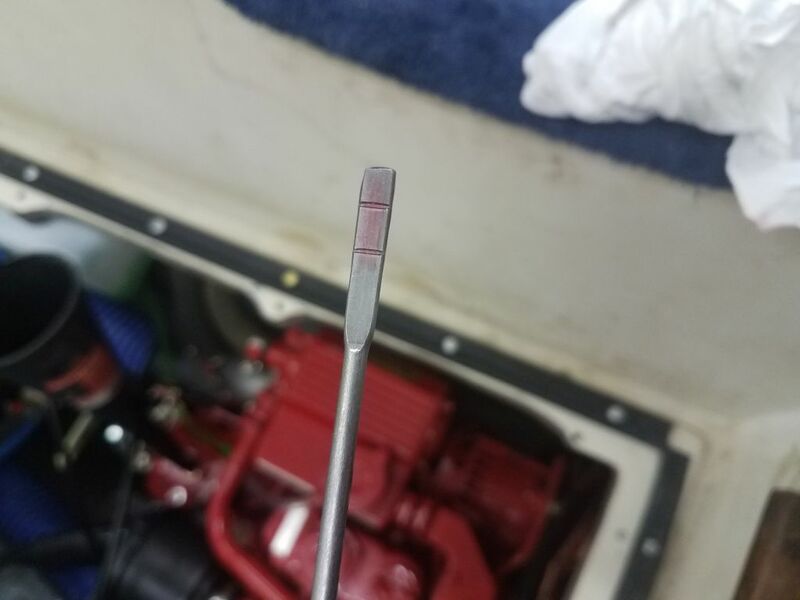 In the engine room, I finished up by adding the basic fluids to the engine: coolant (both to the heat exchanger and the separate overflow tank); engine oil (about 2 liters); and transmission fluid (about 0.2 liters). 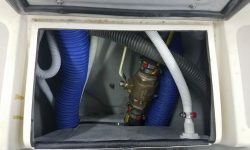 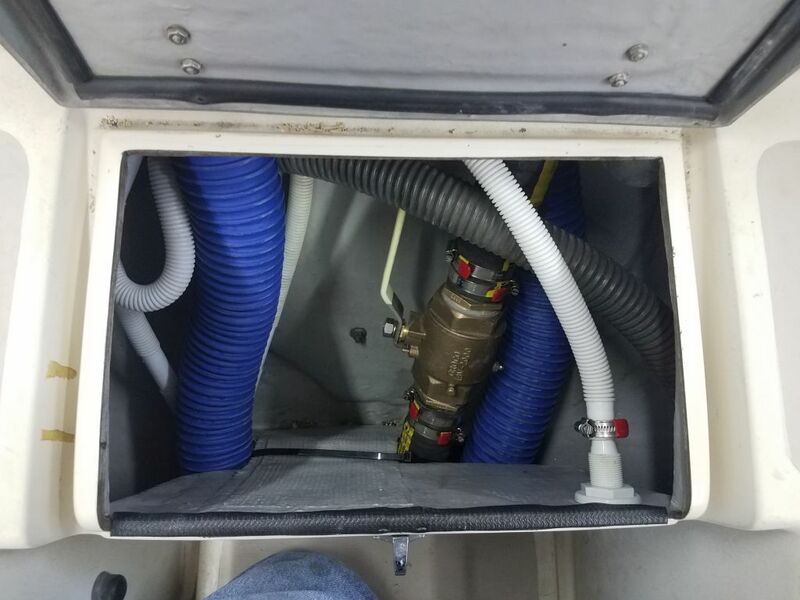 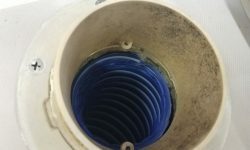 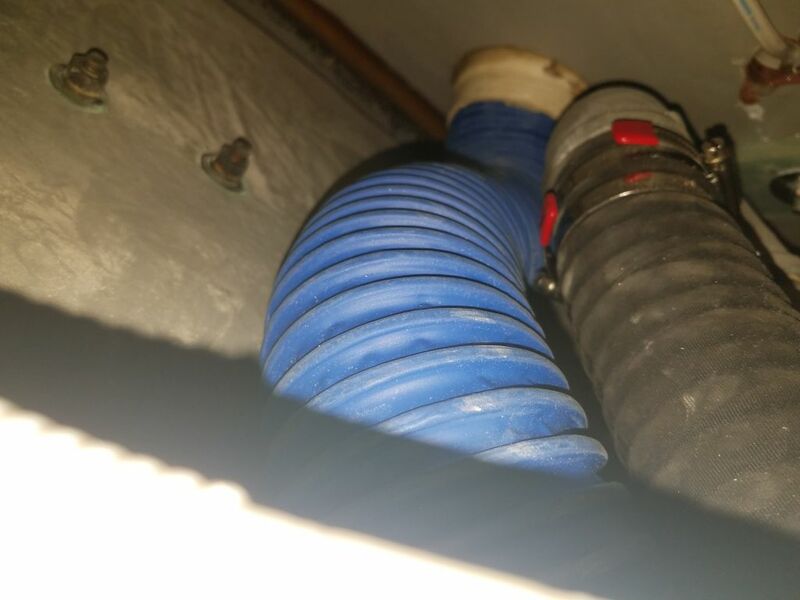 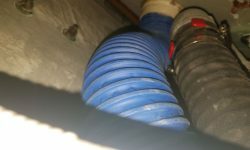 Finally, I installed new vent hoses between the engine room and the after cowl vents, replacing those I’d removed earlier in the project. 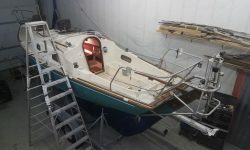 I installed the tiller, thus expunging the last item from the project scope.